Great for 2-4 barrel applications. Fits most 4-barrel carburetors and includes paper filter, carb stud, and chrome acorn nut. 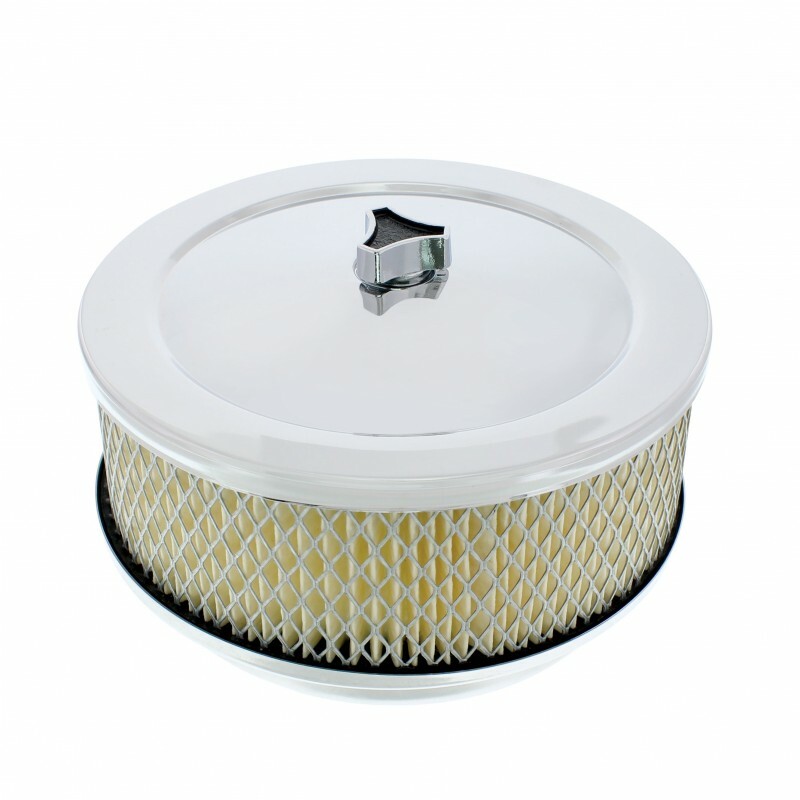 Replacement filters available.